I an happy to address the 7th Enugu Youth Summit. Today, I am going to talk to you about myself with the hope that the young people here will learn one or two things.I was born in 1962 and will be 56 on the 12th of May. It was on my fourth birthday that the Republic of Biafra was declared and what followed was 30 months of civil war. Within those 30 months, those of us, who were too young to fight, suffered a lot of setbacks. We had to sleep under trees, by bank of rivers, and in the valleys in order to avoid flying bullets. We could not go to school because schools had been demolished or set on fire. Markets were destroyed; businesses were destroyed. Our friends, brothers, and sisters, who lived in the north and Lagos returned home with their businesses abandoned; their lives destroyed. That was how people like us started. When the war ended in 1970, we managed to go back to school, studying under trees because there were virtually no schools standing, but we managed to proceed under that condition. By 1974, I had got to elementary six and took the First School Leaving Certificate. Now, because of the number of children in the family that also required education, a decision had to be made whether I would learn a trade or proceed with my education. That decision took one year and it was that I was going to learn a business or trade. The day I was to be taken away to start learning the business, I disappeared from the house. When I eventually returned, it was obvious to my parents that I preferred to go to school and, in 1975, I got into secondary school. In spite of that setback, by the time I finished in 1980, I made grade 1, scoring “A” in almost all subjects. As it were in those days, if you did well in secondary school, you had the opportunity of teaching in secondary school. I was employed as a teacher and deployed to St. Vincent Secondary School, Agbogugu. Two years later, I entered the University of Nigeria, earning my LL.B, went to Law school, was called to the Bar and later returned to the University of Nigeria for my LL.M. Years later, I got my doctorate degree in Law. Today, as part of my academic pursuit, I am a proud Professor of the Southern University in Baton Rouge, Louisiana in America. My first political experience came when I was 10 years old. I became the chairman of my age grade and this spanned a period of 30 years. I later became the president of my town union at 30. At 35, I became a Local Government Chairman. At 37, I was Chief of Staff. At 39, I became Secretary to the State Government and at 41, I was already in the Senate. So, I have good news for you: if I could do it, you too can do it. That is the essence of this story. If anybody tells you, young men and women out there, that tomorrow belongs to you, don’t listen to him. It is today that belongs to you.The next issue is: what has propelled me all these years? One is my absolute trust in God. I have always believed that power comes from God and with Him, there is nothing you cannot achieve. So, no matter what they tell you, it is only God that can determine your fate. He has the final say. But there must be principles that come with it. One is a sense of justice and equity. When I was the Local Government Chairman, I made sure that whatever we did encompassed the various communities under my watch. When I finished my tenure, I was adjudged the best local government chairman in Enugu State.When I got into the Senate, I would not be just the Senator for Aninri people where I come from. I would rather be the Senator for Udi, Ezeagu, Oji River, Awgu and Aninri. I have made sure that if there are electricity or water projects, they have to go round. When I became the Deputy President of the Senate in 2007, one of the first major road projects we attracted was the Oji River-Awgu road, not Awgu-Ndeaboh road. The second was the Awgu-Ndeaboh-Mpu-Okpanku-Akaeze road. One day, I came back home and saw right in my village, the contractor had put asphalt on the road in front of my house. I called the Minister of Works and complained that the contractor had left the stretch from Awgu-Ndeaboh and started in front of my house. I said I don’t behave that way and that they must remove that asphalt. I insisted and they removed the asphalt, left the road as bad as it was and went and started where they should start. At the time I got into the Senate, there was no electricity in any part of Aninri whatsoever. So, when the government decided to put electricity in my place, there was also the same temptation to take the light from New Haven, Enugu, straight to my village. I told them that I was not interested; that I had to ensure that all the communities on the way to my village had light before it got to me. We wanted to do youth centre and we made sure that there is one in each local government. When we distribute human resources development, scholarship, every local government gets equal number. Aninri doesn’t get one extra.Now, the lesson here is that when you are fair to people, they also respond in the same manner. Because I have been fair to all the local governments that make up my senatorial district, the people of Enugu west have graciously returned me to the senate for four consecutive times and if I want to go again, I am sure they will return me again. 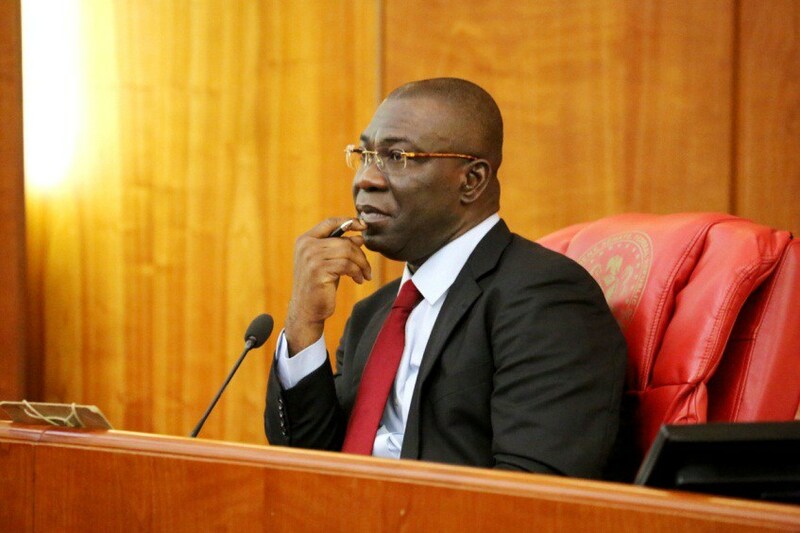 At the Senate, I try not to see myself as the Senator representing Enugu West or just Enugu State or Igboland. I see myself as a Senator of the Federal Republic of Nigeria. That means that what concerns the people of Zamfara concerns me; what concerns the people of Sokoto also concerns me; and when Lagos is involved, I am also concerned. That was why I had to visit Internally Displaced Persons (IDP) camps in Adamawa, Gombe, and other places to support and tell them that this too shall pass, for, what they are going through, I also passed through between 1967 and 1970; and that it shall be well with them. Because of my pan-Nigerian attitude, my colleagues in the Senate in 2007 elected me as Deputy President of the Senate unopposed; in 2011 they repeated that. In 2015, even when my party was in the minority and I was running against somebody from the mainstream party, my colleagues believed that I could still serve as the Deputy President of the Senate and they would be satisfied. In 2003, I got into the Senate and I was also elected from the Senate of Nigeria to represent my colleagues at the ECOWAS Parliament. In 2007, my colleagues rewarded me with the post of Deputy Speaker of the Parliament and later in 2011 when it was Nigeria’s turn to produce the Parliament’s Speaker, I became the first Nigerian to hold the position of the Speaker of ECOWAS Parliament. Because the speakership of the Community Parliament is rotational in alphabetical order, the next Nigerian Speaker of the Parliament will emerge in nearly 60-year time. My point is that in whatever you do, try to be fair to all. In your home, treat your children equally. If you are president of a town union, ensure that there is equity. If you are a traditional ruler, do not discriminate between those from your village and those from other villages; and if you rise to be the governor of a State as a young man, remember that every part of the State is your concern. If you are President of Nigeria, it is important that you realise that every part of Nigeria is your constituency and you need to treat them equally, with justice. If you do that, you won’t harvest trouble and Nigerians will not mind how many years you spend in power or where you come from. They will give you all their support and solidarity. Finally, there is hope for all of you, the youth. I am a firm believer in the power of our youth. We will support all of you, who desire to run for any office. One of the practical ways is to reduce the age limit for you to contest elections. We have amended our constitution and hopefully the president will sign it.Thank you for this opportunity to share my life story with you. God bless our youth. God bless Nigeria. Excerpts of the talks by the Deputy President of the Senate at the 7th Enugu Youth Summit, recently.